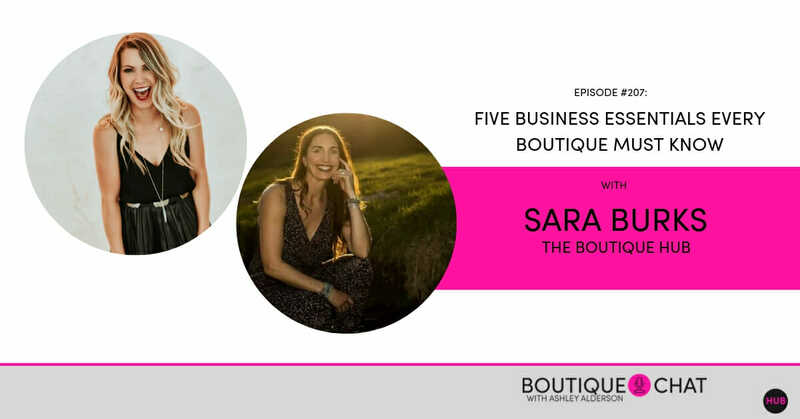 Sara Burks, the Director of Partnerships and Education at The Boutique Hub, joins your host Ashley Alderson to talk about the 5 ESSENTIALS to growing a successful boutique business and their Retail Bootcamp program. Are you operating only in the art of retail, or the science? Sara and Ashley cover the most common mistakes and opportunities every retailer must look for! 1. Often, the success of a business is not a quick fix, it’s a foundational problem that needs to be addressed. 2. Do what you do best and hire the rest. 3. When you target everyone you reach no one – you have to figure out the needs of your customer and be a solution to the problem. The Boutique Hub is a media company highlighting the global boutique community for consumers to discover, while also connecting the industry behind it to collaborate, share resources, find training, discover new brands and grow their companies.